AUSTRALIAN CHAMBER ORCHESTRA: Tour One DAWN UPSHAW at Angel Place, Sydney. Attending music is a pleasure for my own spoilt self. It is outside my expertise but it is part of my diet in the Arts. So let me plagiarise from the program notes. 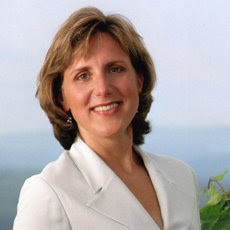 "Dawn Upshaw is simply one of those performers that anyone serious about the state of music today must see. Combining intelligence, artistry and a seriously gorgeous voice, everything she sings turns to gold. The music she’s chosen spans the globe and crosses cultures: from folksong to the works of an Eastern European Jewish composer whose Argentine upbringing exposed him to tango, klezmer and chamber music, though his music is always more than the sum of these parts. If all music aspires to the quality of song, all Mozart’s concertos and symphonies aspire to the condition of opera. How else to explain the consummate theatricality of the Symphony No 29 and especially the Sinfonia Concertante? It’s a drama in three scenes: majestic, tragic and comic, and the perfect foil for two ACO principals with a lot of character. The curtain rises with a brand new work by Perth composer James Ledger, the first of our celebratory commissions for the year." RESTLESS NIGHT is a World Premiere, commissioned to celebrate Richard Tognetti’s 20th anniversary as Leader of the ACO by James Ledger. In it’s brief time duration of 5 minutes it was a delightfully cheeky and witty piece. Mr Ledger "impressed and inspired by the energy of the ACO's playing" has created what he calls "a ‘hyper – nocturne’ – a stream of unconscious thoughts that come and go in the solo violin pitted against a flurry of nervous activity in the string orchestra." The devilment of the scoring and the apparent precision of the timing of the piece revealed a concentrated camaraderie that is, as always with this orchestra, a theatrical excitement to behold and hear. The guest for the concert was Dawn Upshaw and her first set of songs were by the Argentinian composer Osvaldo Noe Golijov. The first song NIGHT OF THE FLYING HORSES began with Ms Upshaw launching herself in an unaccompanied opening verse. What followed was a blissful and breathtaking joy. Four songs from Bartok and a song from Richard Strauss followed. Ms Upshaw sings in a completely embodied way. The whole instrument is alert to the sensations of the music and there is a sinuosity to the body movements that theatrically took me to meet her on a spiritual plain. She sang as if each piece was a spiritual gift. It was a truly exhilarating performance. The first Golijov a special memory to be closely followed by the Stauss: Morgen! I loved it. As usual this concert by this orchestra, a great balm in troubled times. Not really a comment on the review but on the new blog format. This is MUCH easier on the eye than the old white-on-black was. I used to have lines burnt in my vision for ages after reading the old blog. This is much better. Keep up the good work Kevin. You are a strong voice in timid times.